This week, we were recognized as a Leader in the debut of Gartner’s Magic Quadrant for Access Management, Worldwide 2017. We’re proud to be placed highest on the ability to execute axis of all 15 companies evaluated. For more on why, you can find a copy of the report here. Gartner previously evaluated Okta in its “Magic Quadrant for Identity and Access Management as a Service, or IDaaS.” We were the only company to appear in the Leaders quadrant for all three years of the report’s publication and were positioned highest in execution each year. No one has ever out-executed Okta in a Magic Quadrant in which we’ve been evaluated, and for something as critical as Access Management, we believe actions speak louder than words. 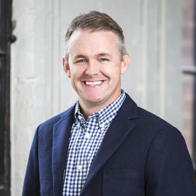 We attribute this achievement to our unwavering focus on customer success, our leadership in sales and marketing, and the execution of our roadmap. This year Gartner retired the IDaaS Magic Quadrant, which only evaluated cloud-based offerings. The new Access Management Magic Quadrant includes both on-premises and cloud-based identity solutions. We see this new research as recognition from Gartner that cloud-based Identity solutions not only meet, but excel in offering the full range of access management requirements. In looking at the results of the Magic Quadrant, we see cloud having a clear and massive impact on this market. Legacy vendors who traditionally offered on-prem solutions have seen the tremendous power — and necessity — of the cloud, and are trying to adapt to the new world. The Okta Identity Cloud was born and built in the cloud, and this enables us to innovate faster, centrally monitor, manage and upgrade our service, and scale to meet customer needs across both internal and external use cases and regardless of the architecture of their IT environment – cloud, on-premises or hybrid. As the cloud continues to disrupt the market, we’re confident that Okta will continue to lead the way. Gartner’s Magic Quadrant is another highlight in a string of important announcements we’ve shared over the past year, including the announcement of our new API Access Management product, the achievement of industry-leading FedRAMP certification, the Stormpath team joining us to accelerate growth of our identity platform for developers, and finally Okta’s expansion globally with new offices in London, Seattle and San Jose. We’ve also deepened our partnerships with leading technology partners such as Google and F5 Networks. Last but not least, we want to recognize our customers — we could not achieve our placement in this Magic Quadrant without your help and support. To all of you who have trusted us over the years, we wanted to say a sincere thank you. We look forward to sharing what’s next for Okta and celebrating your continued success at Oktane17 in August. 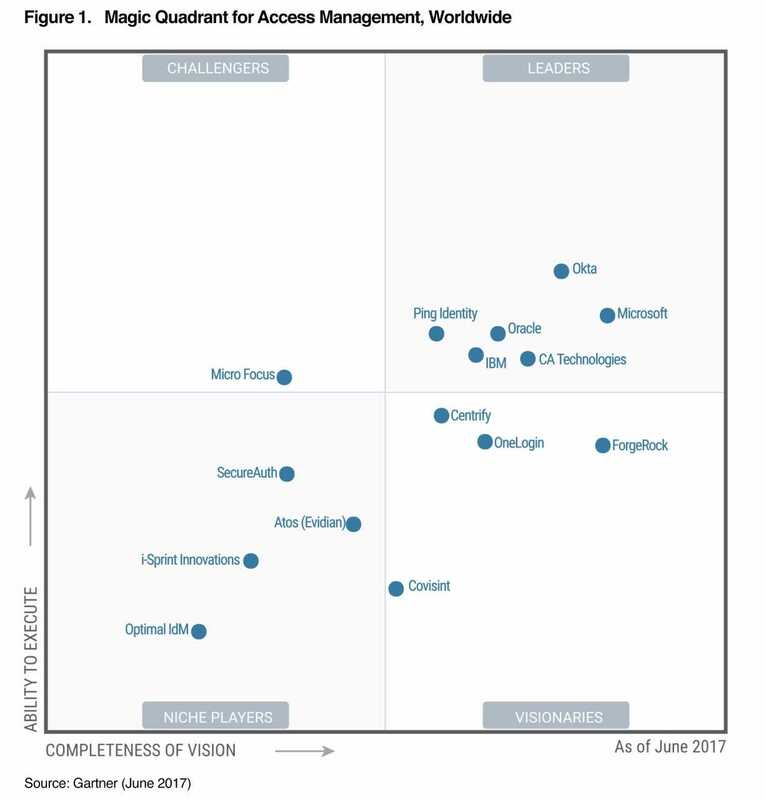 Gartner, Inc., Magic Quadrant for Access Management, Worldwide, Gregg Kreizman and Anmol Singh, 7 June 2017.